Almost half of the country’s almost 900,000 micro, small and medium enterprises (MSMEs) are engaged in wholesale and retail trade, and the Department of Trade and Industry (DTI) is not entirely happy with the situation. Philippine Statistics Authority (PSA) figures compiled by the DTI show that wholesale and retail trade, including the repair of motor vehicles and motorcycles, account for 46.5 percent of the 896,839 MSMEs in 2015. Lopez said he wants to transform the country’s small business owners from mere buy and sell traders into innovators who will come up with new products and services that will address local as well as regional and even global needs. He said the DTI is looking into building an SME Academy and innovation centers, local hubs where aspiring and established entrepreneurs can learn from mentors and seek financing. The department also plans to team up with the Department of Education to strengthen the curriculum of elementary and high school students to reinforce science, technology and even entrepreneurship. “The startup community in the Philippines is in a very nascent stage. We see the important thing to do is to develop the startup ecosystem, that’s why we want to come up with innovation hubs that can bring startups together,” added DTI Undersecretary Nora Terrado. ASEAN Business Advisory Council Chairman Jose Ma. Concepcion III cited enterprises in the US as prime examples of the future of businesses, as most American retail brands have closed shop with the proliferation of e-commerce. “The level of innovation [that we expect from entrepreneurs], comes with education. We need to improve the math, the sciences [of local schools]. Because compared to other countries [with more tech-advanced businesses], local shops are strictly brick and mortar,” added Concepcion who also heads food and beverage firm RFM Corp. 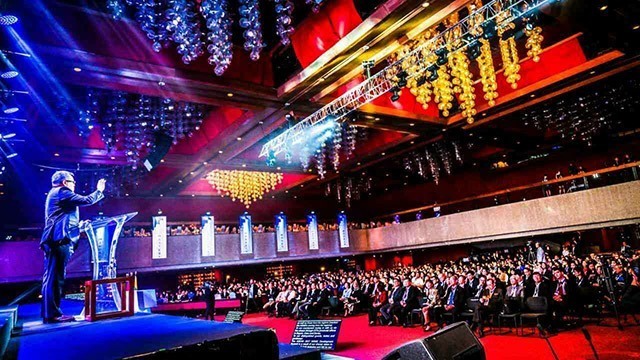 The summit’s theme of “7Ms Towards Shared Prosperity in ASEAN” reflects the government’s newly developed strategy to widen and deepen MSMEs in the Philippines: mindset, mastery, mentoring, markets, money, machines and models. The event brought together public officials and private entities from across the region for a series of panel discussions on each of the elements of the government strategy. Apart from supporting small business owners with training and mentorship, Lopez said the government also wants to helm MSMEs gain access to digital technologies that will help them raise money, network with partners and develop markets. “Through innovation and digitalization, we are confident that MSMEs can leapfrog their status as globally-competitive enterprises, thus benefitting everyone in ASEAN,” Lopez said in his keynote speech. Elyssa Christine Lopez is a staff writer of Entrepreneur PH.